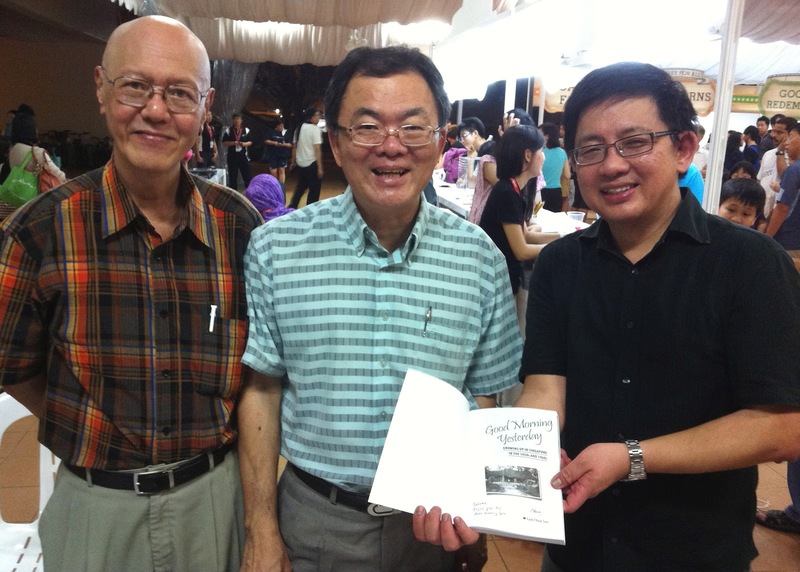 Last night, I was at the Iremember goes to Toa Payoh event organized by the Singapore Memory Project team. They had kindly permitted me to display my new book, Good Morning Yesterday, at the venue. 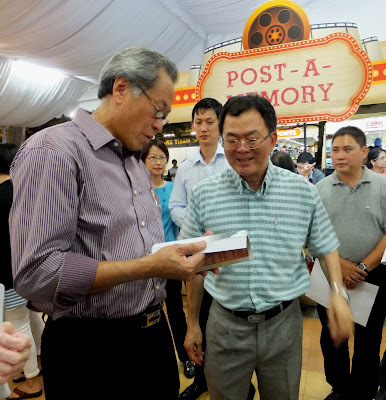 Visitors to the carnival were encouraged to share their memories of Toa Payoh via a variety of means. Actually, I have lots of memories of Toa Payoh to share with them. I lived in a kampong in nearby Lorong Chuan up to 1974. Travelling along Braddell Road almost daily, I had literally seen Toa Payoh take shape before my eyes. Also, I had worked in the Philips Audio Factory in Lorong 1, Toa Payoh for 5 years up to 1984; and hence had many memories of Toa Payoh during that period; especially the eating places. But because I had to man my ‘station’ – since my book distributors were not able to attend – I did not have a chance to do it last night. But never mind; I will do it later at the SM Portal. In any case, I prefer to write my posts in an systematic manner. But I did share some memories verbally in front of the video camera because most of the visitors were too shy to do so. Below are a couple of photos taken at last night’s event. The first photo is taken with my fellow nostalgia bloggers and Memory Corp members, James Seah and Jerome Lim. You can see lots of old photos of Singapore at James’ blog, Blog to Express, and Jerome’s Facebook page, On a Little Street in Singapore. The second photo is taken with the Guest-of-Honour, Minister for Defence, Dr Ng Eng Hen. I presented him with a copy of my book. In this photo, I was directing his attention to page 168 of my book which was about National Junior College. I remember seeing his name in the college’s Hall of Fame. He was probably a few years my junior in NJC. 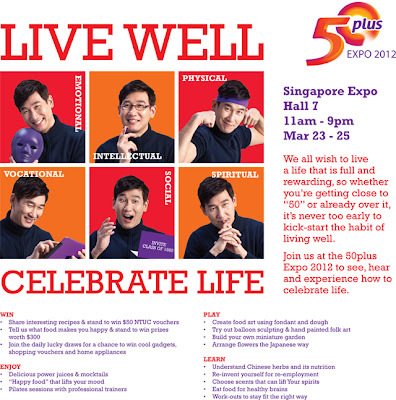 (I just learnt from Widipedia that he was also from ACS). Congratulations to the Singapore Memory Project team for an excellent programme. They must have worked really hard to organize such an event. For those who missed it, I heard from reliable sources that the next one will probably be in Tampines or Jurong. We needed to eat, so we had to go shopping. I can remember shopping trips to Cold Storage and Fitzpatricks, but pretty soon my parents settled on Joo Hen (that might not be the right spelling). 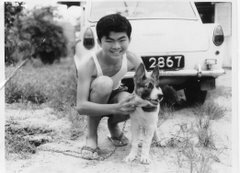 Joo Hen’s was a small grocer at Sembawang Hills Estate. I’m struggling to remember the exact location, but I seem to remember just off Sembawang Hills Circus, near the junction with Old Thompson Road, there was a group of shops surrounding a small car park. The other shops included a newsagent (where we bought our Superman comics) and a toy shop that had very desirable but unaffordable Hornby Dublo train sets. 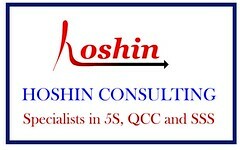 My best guess is that Joo Hen’s was near where the Shibly Muslim Food shop is today, on Casuarina Road. I walked past there in 2001, and was unable to recognise anything. It looked like everything had been rebuilt, although memory can play tricks. I imagine someone must have tipped my parents off about Joo Hen’s. It’s not the sort of place you would find by accident. From outside it was a small, unpretentious shop with Chinese owners. Inside it was well stocked, and clearly had everything that we needed. I don’t remember if they sold local products, but there was everything that we were familiar with. Persil, Corn Flakes, Spam … you name it. I was fascinated to see familiar boxes like the Corn Flakes box, with Chinese writing. Outside was the delivery van. It was lettered with Joo Hen’s name in both European and Chinese writing, and was covered with pictures of some of the products they sold. If I’m not mistaken, 555 Filter King cigarettes was one of the products. 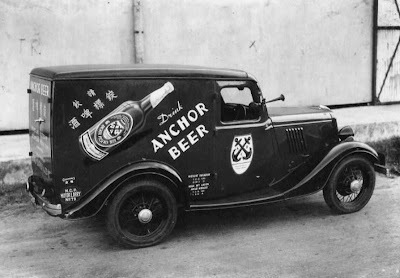 Vans decorated with advertising images were a feature of Singapore at that time. 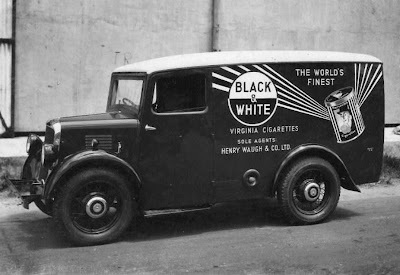 Back in England, delivery vans would carry the grocer’s name, but there would be no illustrations. 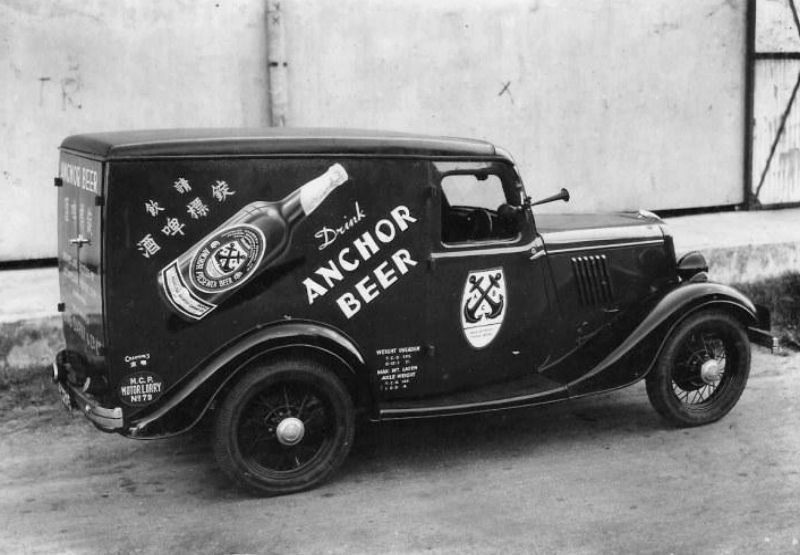 Sadly I don’t have a picture of Joo Hen’s van, but I’ve found a few that were similarly decorated. After a while, we started to have our groceries delivered in the van. My mother would telephone in the morning, and the delivery would be made that afternoon. We still went out to Sembawang Hills once a month to settle our account. I always liked that place. It was friendlier and quieter than the big supermarkets. For more details, visit the Council for Third Age website. See you there. I have also contribute an article at the C3A website about the Cross-Country track @ MacRitchie. You can read my article here. When I was in secondary school, I started to enjoy listening to English pop songs on the radio. That would be in the 1960s. One day, a relative gave us a guitar and I learned to strum a few chords; and even bought song books with lyrics and guitar chords to practise. For years, I had been curious to know what this line meant; but never took the trouble to do the research. I guessed the singer was talking about her lovers in different places called Pierrot and Columbine. (I thought she had sung, “from Pierrot to Columbine”) It was not until recently that I decided to Google for it and discovered the real meaning of this phrase. Thus it was in those early days, that we often could not hear clearly, and did not understand the meaning of some lyrics of the songs we liked. Another example was a song by a group called Gerry and the Pacemakers titled, Ferry Cross the Mersey. I did not understand at that time what or where this ‘mercy’ was. Thanks to the popularity of English football clubs like Liverpool, I later knew what this ‘mercy’ meant. With instant knowledge literally at their fingertips, today’s teenagers do not face such a problem. Which brings me to the real aim of my essay; to marvel at how much the world has changed; and how the information age has changed our lives, making obsolete some icons of our teenage years. Two recent pieces of news brought that point home powerfully. One, the demise of Kodak; and two, the news that Encyclopaedia Britannica (I used to be quite proud that I could spell this word without having to consult the dictionary) would cease to be printed. By now you must be quite curious - some of the younger readers at least - what is the song I was referring. No need to Google for it. You have YouTube to thank for that. Regret to say that I received very few answers to Contest number 1; and no correct answers. Maybe the question was too tough. Anyway here’s the answer. Kampong House #1 is along Tampines Rd, near Upper Serangoon Rd and facing Houggang Ave 1. There used to be several such houses there and this one does not look as if it is being used as a residential home. Kampong House #2 is at Jalan Haji Alias just beside the Al Huda Mosque. I am not 100% sure, but I think this is the exact spot (photo taken on 19Mar2012) where the above photo was taken. By all means, post your comments now as the answer should be obvious. All contests have rules. And so here are some. 1) Try to give a precise answer; i.e. the exact location. 2) Only 2 winners will be selected in each round. The winner should be prepared to reveal his address so I can send my book to him or her. 3) Judge’s (my) decision is not final. This is because, sometimes, the judge himself doesn’t know the answer, and so he will award the prize to the one he thinks is correct. And if another person comes up with a better answer later, he will win a prize as well. 4) All done in the name of fun and knowledge; so please don’t take it too seriously. 5) If you have already won the prize before, let others have a go first. 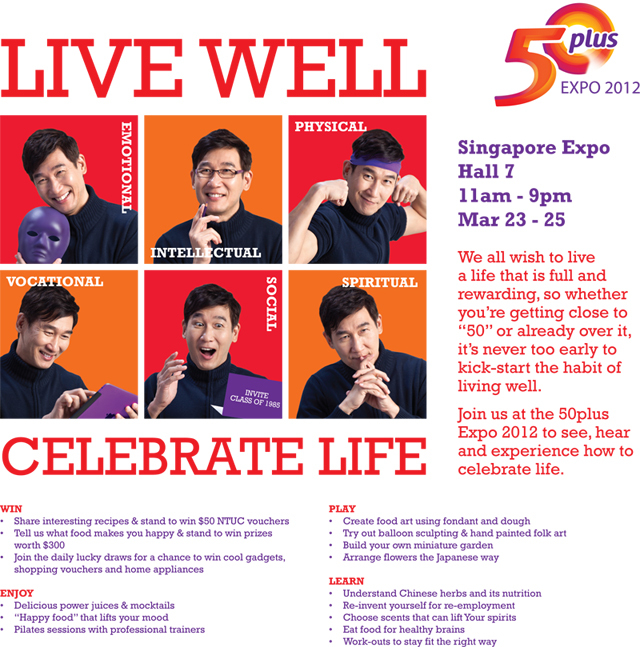 6) Open to Singapore residents only – for obvious reason. 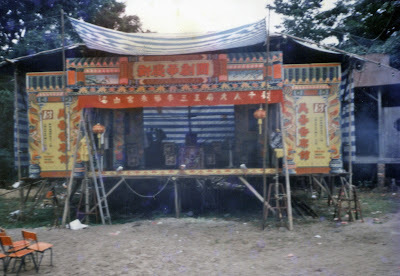 In 2007, I blogged about Wayang Stages in Singapore (here), and mentioned about the wayang stage in my kampong at Lorong Kinchir. At that time, I did not have any photos of this wayang stage to share with my readers. But subsequently, I met a former neighbour, Mr Lau Eng Leong and he shared the following 2 photos with me. The first photo; in black and white, is the original wayang stage. It shows a side view. The lady in the photo was a visitor to Eng Leong’s house. This was probably in the early 1970s. The second photo – the colour one - was taken in the late 1970s, a few years after my family had moved out. It shows a front view. If you look closely, you will see that there are actually 2 wayang stages; one in front and one behind. The one in front is actually a temporary makeshift stage, whilst the one behind was the original wayang stage. What happened was that the original, permanent structure was damaged. The kampong folks probably did not want to spend money to repair it as our kampong land had already been acquired by the government, and they would have to move out soon. So they constructed a temporary one. But actually the land lay vacant for many years before the government finally constructed the Central Expressway over it. During those years, whenever I drove past Lorong Chuan and saw our former kampong land lying idle, I could not help feeling some resentment against our government. Still things worked out well, and the rest, as they say, is history. 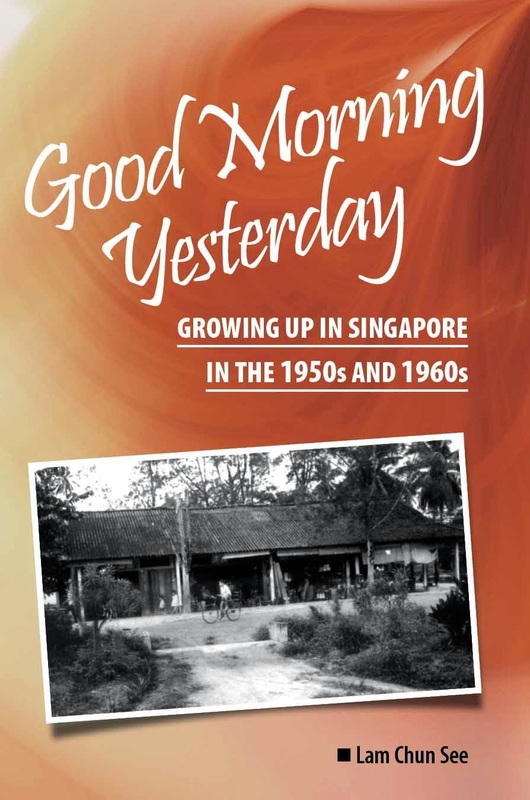 For more stories about the wayang activities in my kampong, please read my book, Good Morning Yesterday; Growing up in Singapore in the 1950s and 1960s (chapter 4). Available in major bookstores at only $18.65. 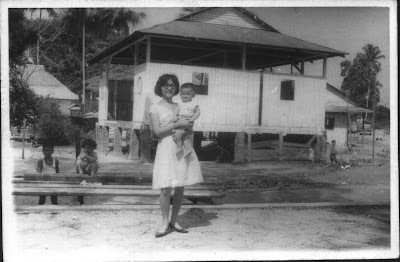 I just posted an article at the Singapore Memory Website about my kampong house at Lorong Kinchir. I also posed a quiz for the readers. Want to take up the challenge? You may win a copy of my book Good Morning Yesterday. PS - Pls do not post your answers as comments here or over at the other website. Thank you. OK. The here are the 2 photos used in my quiz. You are supposed to identify the location of these 2 kampong houses. These photos were taken in 2012. At the end of 1961, my brother and I left St. Andrews School, never to return. 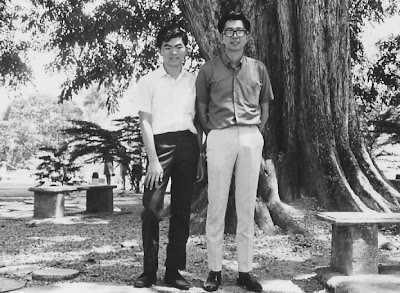 In January 1962 we started as pupils at the Royal Naval School, in the Naval Base at Sembawang. In 1962, the British armed forces still had a massive presence in Singapore, with a large proportion of the territory being occupied by the various Naval, Army or Air bases. The Naval Base was probably the biggest of these bases. My parents were not in the forces, but the services schools must have been the best option for giving us an education aligned to the British curriculum. I imagine that our places had to be paid for, but I don’t know how much or who paid it. I have an idea that the Metal Box company made a contribution towards our schooling. One minor bonus for my parents was that the uniform was exactly the same as St. Andrews, i.e. Navy shorts and white shirt. Minus the St. Andrews badge, of course. Also at the start of 1962, we moved into our new home at 7 Sian Tuan Avenue, Hong Kong Park, off Dunearn Road. We went to school in the RN School Bus, a smart Bedford bus, in Navy Blue livery with white trim. There must have been naval personnel scattered around the island, because the school ran a large number of routes out from the school. There was even a mini-bus station at the school. The bus proceeded through Bukit Timah, Bukit Panjang, and Woodlands, entering the Naval Base through the gates near to the causeway. There were still a few miles to go to reach the school, which was at the Sembawang end of the base. We had to pass the dockyard, and it was always interesting to see the various warships in the dock. I was never an expert, so I couldn’t distinguish between battleships, cruisers or most of the other vessels. There was always a buzz of excitement when one of the great aircraft carriers was expected. I remember Ark Royal and Bulwark. They were enormous. The school was a pleasant collection of buildings in a nice location. The classrooms were a set of three long, single storied buildings, with 3 or 4 classrooms per block. The sides were completely open, allowing a refreshing breeze to pass through. The main assembly hall was a classic old colonial-style wooden building on stilts, with a balcony. This hall was used for assembly, music and drama lessons. My most vivid memory was hearing the announcement that President Kennedy had been assassinated. There was another similar building that was used for martial arts and crafts. I was a member of the fencing club, and enjoyed some success with the foil. School finished in the early afternoon, but there were activities every afternoon including sports, crafts, choir, etc.. The other buildings that I remember were a staff and administration block that also had a library, and the toilet block. Finally there was a Padang where we played football and rounders. After that, in year 3, we had Mr. Nutter. He was a decent bloke, who made lessons interesting, and was constantly distracted by the wildlife. He set up an aquarium, and had various live insects and rodents on the nature table. In cages of course. I managed to incur his wrath by failing to deliver my homework on a number of occasions, with increasingly laughable excuses. He finally lost patience and caned me. I deserved it. In year 4 we had Mr Steele. He was a little more severe and not as much fun, but still a good teacher so long as you didn’t mess with him. Which I didn’t. It was in year 4 that I started to fall in love with some of my fellow pupils. Anne Turner and Margaret Pillage spring to mind. I wonder where they are now. My best pal was Keith Stannard, and I spent a few weekends stopping over at his house in the naval base, just up the road from the school. These were lovely old black and white houses on stilts. We would go fishing on a jetty, catching lots of fish as we watched the big grey warships coming and going. Wonderful times. To my eternal shame, I left the Royal Naval School without exchanging addresses with any of my friends. This was not intentional, but my parents had arranged for me to be placed in a prep school in Yorkshire at very short notice. But I could have made an effort to contact my friends. Now they are just a distant memory. The school buildings still exist, as a school for prison staff, I think. I have many more happy memories of this school. Too many for this blog.